Are there occasions when people, especially Christians, are not called upon to be proverbial Good Samaritans, not founts of mercy? And why might our bibles, especially the OT (which admittedly for Christians belongs to another and older covenant), often demand the refusal of mercy. There’s a poem I’ve had in mind which I now doubt I shall ever write because though it could carry its message at the level of feeling it would be hard to cover things sufficiently at the level of argument. The failure at the poetic level would be excusable, but I should want to be as fair as possible in the face of fact and complexity and also remain clear as possible given the barrage of criticism any original or non PC treatment of a theme can engender today. Not that my approach and main facts supporting it would be entirely original – anyone wanting more of the facts can go to the writings of such as ex-Muslim Ayaan Hirsi Ali, British author and journalist Douglas Murray and articles of the Gatestone Institute which regularly reports news that especially Germany, Sweden and Britain don’t want people to hear and sometimes controversially suppress. Only the spiritual/theological perspectives would be more particular to myself. The poem, a variation on the Lamentations of Jeremiah, would be about what I believe to be radically the case, an inconvenient truth not seen (or not admitted), namely the end of Europe as we know it – Murray would speak of Europe’s “suicide” – something symbolized and partly triggered by the migrant crisis. The latter phenomenon, which both is and isn’t a genuine “migrant” crisis, involves far more than the PC political class and a by and large would-be generous public cares to recognize. Poetry which transcends norms of expression offers an opportunity to question and rewrite reality. Sometimes its treatment is closer to those prophetic style perceptions of events which assume spiritual laws of life that post-Enlightenment rationalism and even religion won’t consider and have largely forgotten. As with Lamentations this can include difficult concepts like the “wrath” or “jealousy” of God, expressions which don’t automatically mean quite what is popularly assumed. They are more metaphorical and bespeak rather a divine withdrawal from events which allows natural chaos to take over and the need for an exclusive attachment to the divine in order to hear anything from that source. So, any poem in the style of Lamentations would speak to the more spiritual dimensions of the current crisis, but what might that mean? And how would the perspective differ from the rationalist Christian and/or secularist line in the West for whom events are simply a call to be a good Samaritans to suffering people (assuming, as is not always the case, that the migrants, usually male and some over fifty but claiming to be “unaccompanied children”, are authentic refugees, not opportunists seeking a new life and benefits). GOOD SAMARITANS TO WHOM AND WHY? The Good Samaritan is defined by Jesus’ parable of Luk 10:25-37 as a social outsider ( to Jews of Jesus’ time) who has mercy upon someone when it would not be customary to have automatic interest in or sympathy with . The aided victim is a man who has been attacked by thieves and left for half dead – to that extent comparison could be made with tortured victims of President Assad’s regime which has suppressed opposition and reform – the president is largely responsible for the entire Syrian crisis. The parable implies almost anyone is a potential neighbour to everyone else and here comparison of gospel ethics with Islam’s injunction to terrorize and subjugate the outsider/infidel wherever they are found (Sura 9:5) could hardly be greater. (Converts to Christianity from Islam are usually persuaded by the theme of forgiveness within the religion. The popularity of jihad with martyrdom in Islam is due precisely to its being the only sure way to secure divine acceptance and thus paradise ). The person the Samaritan assists is helpless and in need of aid. This is not the same as someone, victim or otherwise, who does not consider outsiders to be any kind of world citizen but who still demands assistance from others as of right, which at least some migrants have done, demanding to be let in, passing barriers and protesting if they are not allowed to enter the rejecting society is criminal and doesn’t understand humanity – ironically an ideal they have at least partly learned from the West they often despise or oppose. This situation with the attitudes it throws up is between strange and unprecedented. When nations suffer war and internal dysfunction, normally they fight and put up with it. Some populations like the Jews have fled specific persecution to more tolerant places but they have usually brought wanted skills with them rather than expected host nations to support them on the scale migrants often expect and indeed need when they require language and other training to cope. The idea that war suffering and internal chaos gives the right to populations to migrate by the million is historically exceptional. It is something that perhaps more readily occurs to members of a highly political faith which believes in its ultimate right to universal rule and reducing resisting inhabitants to servant status, despised paying dhimmis, and even the right to practice a degree of conquest by migration. That such is an established Islamic principle even an orthodox Muslim freely admits (see http://goo.gl/25QYXr. We may suppose the readiness of Turkey and the Gulf States to let Europe be swamped is not without the hope of furthering precisely expansion. Does this mean that Christians have the right to ignore an influx of people desperate as at any rate some threatened Syrians are, but whose nonetheless alien beliefs and values could over time pose a threat to host lifestyles – an assumption not merely “racist”(as even the very pro-refugee Archbishop of Canterbury has insisted) but based on the kind of things preached in some immigrant circles and actions already observed to have occurred where migrants have recently settled. No, we should not ignore….but in this instance assistance should be given with proper caution and safeguards. The Christian rule in this case would be closer to the NT dictum, “if your enemy hungers, feed him” (Rom 12:10). Enemy? Do Christians have them? Are they supposed to be looking for them and regarding people as such? Are those refugees, some of whom really have lost everything and are hopeless, but who are not waging war and quite likely are peace loving, actual “enemies”? No…..but to be realistic, they do still cling to and represent a culture, faith, values and laws that have failed them and many more in modern times; and wherever Muslims are a majority their rulers from Sudan to Afghanistan have proved relentlessly hostile and discriminatory towards Christians and other minorities. The mixture of corruption and persecution that is, for example, modern Pakistan is disturbing and within Britain where immigrants of that nation have settled in great numbers, everything from archaic treatment of women to persecution of Christian converts has been reported. WHO ARE MY BROTHER AND SISTER? No matter how worthy many individual Muslims may be, practically and politically regarded they cannot be simply called “our brothers and sisters” as a well-meaning, naive papacy is ready to call them. 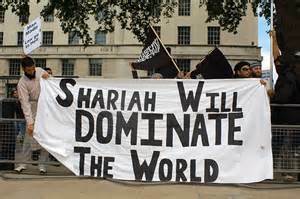 It’s the Christians, women and gays persecuted by Muslims who are our brothers and sisters. The Chinese classic The Art of War insists that one must understand the mind of the enemy to win any advantage, something which if the West is not to founder or just suicide, it needs to do pronto. It is short-sighted, naïve and even disloyal to the suffering of minorities in Islamic societies, to be anything but cautious and provisional in welcome. Only because the West is largely secular (despite the fact Muslims inaccurately call Europeans “Crusaders”) has it insufficiently cared and protested for persecuted Christians; but failing to care it also fails to read the writing on the wall for itself as constituting also “infidels” who later may receive no better treatment. The perverse secularism of Sweden has in the past sent Christians refugees from such as Iran back into certain persecution http://goo.gl/ElxWYN while opening its arms to refugee Muslims by the thousands. Some of these refugees are now harassing women (including minors) and ordinary citizens to a degree press and politicians scarcely dare admit and have so far mostly tried to hide http://goo.gl/kBREej Multiculturalism and fears of being called “racist” have Swedish police and people in shackles unable to defend themselves in the face of persons who have no appreciation for the old adage “When in Rome, do as Rome does”. This ungrateful or presuming guest response recalls another parable of Jesus to which I turn presently and whose message must be set against that of the Good Samaritan because of the way it addresses the response to a compassion scorned. And when the Lord your God gives them over to you and you defeat them, , then you must utterly destroy them. Make no covenant with them and show them no mercy. Do not intermarry with them, ….for that would turn away your children from following me….break down their altars, smash their pillars, hew down their sacred poles….”. The ruthlessness of this has understandably troubled and bewildered Christian readers of the age of Pisces looking back to the blood and iron of the age of super-patriarchal Aries, bolstered as this was by customs of the some of which still survive into our times, like the kind of honour killings now and again surfacing among peoples of the Middle East, not to say the radical ethnic and cultural cleansing of IS. Even in that earlier age Israel itself hesitated to be so absolute, though it was later seen as a cause of their vulnerability in many ways especially its idolatries. It is perhaps only in the face of the intransigence and ruthlessness we see in IS and which seems almost a speciality of the Middle East,(Hitler and Nazism despite – Hitler was inspired by the still denied Ottoman genocide of the Christian Armenians! ), it makes a little more sense. It would obviously be wrong in this era and for Christians to annihilate enemies (just this has been the crime of Orthodox Serbs upon the Muslims of Bosnia from fear of what Islam means and has done in Eastern Europe), but in any age or clime, aggressive intransigence may need to be dismissed or ignored or somehow quarantined so that any kind of peace and order can flourish. If beyond a certain point people and societies value vengeance and make children imbibe it with their mother’s milk, then this leads to total paralysis on the moral plain. We see something of the kind in the (again minimally reported) policies and attitudes of Palestinians today. Given millions to rebuild their society the money gets poured instead into building more tunnels into Israel because the real desire is not a good and safe life but vengeance upon the nation for existing at all with the desire, freely expressed everywhere from media to classroom, to have those supposedly descended from pigs and monkeys, destroyed before Judgement day. Likewise Iran openly declares and plans for the total annihilation of Israel as its aim – it recently launched missiles with notices attached declaring the need to destroy all Jews. The easy going West conveniently ignores and doesn’t believe it (after all trade is involved!) but why not? Let us speculate and try to imagine. If God is love (Islam never says this, only that Allah is “merciful”) and represents certain absolutes that need to be established for the general good but cannot be so because those values are threatened by persons so committed to hatred after the manner of violent tribes as depicted in the OT, then in the interests of progress a case can perhaps be made for a new beginning. This is achieved not by reconciliation when none is possible, but by annihilation. With certain root principles established and the spirit of the age different Christians cannot possibly think this way, but in other times and places……? “Then his lord summoned him and said to him ‘You wicked slave! I forgave you all that debt because you pleaded with me. Should you not have had mercy on your fellow slave, as I had mercy on you?’ And in anger his lord handed him over to be tortured until he would pay his entire debt. So my heavenly Father will also do to everyone one of you, if you do not forgive your brother or sister from your heart”. With this in mind, finally we may turn to a few poetic/prophetic parallels to our times. Quite simply society does not get rid of God by denial, indifference or forgetting. The God issue returns, if need be in another form; and if God is not the friend, God becomes however reluctantly the enemy. The rejected, uninvoked God withdraws protection in a way which makes him as though the enemy itself. “He has taken away the covering (protection) of Israel” says Isaiah (Is 22: 8) with the result as chaos mounts “I am laying before this people stumbling blocks against which they shall stumble” (Jer 6:21). The situation and attitude of Europe today is painfully similar to that of Judah before its fall to enemies – decadent and complacent, assured that no evil will come (Jer 5:12) “no evil shall come upon us/and we shall not see sword or famine”, declaring “peace, peace and there is no peace” (Jer 6:14). It’s the reckless even arrogant spirit of Angela Merkel’s wir schaffen es (we’ll deal with it). Yet, says the prophet, those will come who “will eat up your harvest and your bread” (Jer 5:17). 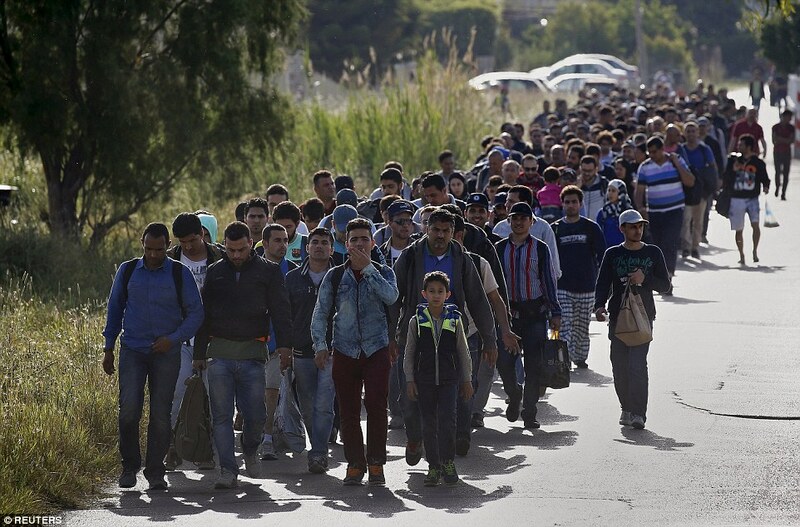 Do we need to spell it out that the migrant crisis is so large it is likely to wreck the economies of Europe, especially proudly wealthy Germany as increasingly the tax payer must fund those who arrive? “The mills of God grind slowly but they grind exceeding fine”. It’s not a biblical saying but it might as well be so. Germany who in the last century was an exponent of racial purity and a persecutor of Jews, (which last is declared to invoke the curse of God , Gen 12:3) finally is held to ransom by what promises to be a virtual end of any kind of racial purity and ongoing wealth. The sins of the fathers stand to be visited on the children. Though not themselves Nazi bigots, those children might as well be atheists as regards any spirituality, mistaught in Christianity as they are by the likes of Bultmann popularizer and author Uta Ranke-Heinemann whose Putting Away Childish Things, is in many respects an insult and mockery to everything divine. Where the theologians are concerned it’s a case of “they have spoken falsely” (told lies) about the Lord” (Jer 5:13). An oracle against Sweden could rather easily be composed in view of what has happened and is likely to happen to that bastion of secularism and “liberalism” where some citizens are now paying for private protection because they can no longer trust their police to guard them against migrant thefts and assaults and attacks on their homes – most of which you will never have heard of because the political class can’t admit to the rank failure of its almost totalitarian multicultural policies and plays the old “racist” card to critics. Swedes are abandoning the swimming pools because of the dangers of being there. You have forgotten me and believed in lies. (Jer 13:22,28). Whether or not one feels there is a connection here, I can only say that when I read a year or so ago that liberal Sweden, so ready to assimilate almost anyone or anything had turned away desperate Iranian Christian asylum seekers, something registered with me. I felt a line in hypocrisy and injustice by the “liberal” nation had been crossed and the country would pay for it. God is patient, but not infinitely and establishment Sweden has gone far enough with its lies and hypocrisy. I didn’t however suspect the reversal would arrive quite so fast and strong. If we were to look at the rest of Europe for a rewriting of oracles against or lamentations over nations it’s interesting to note that the countries which the migration crisis has hit most hard, Britain, Germany, Sweden and France , are not simply those nations that have most appeal for the fleeing multitudes on account of wealth and lifestyle, but they are the nations most obviously alienated from God. It is they who have been most prone to export their unbelief – France has been doing it since the so-called Enlightenment. Few have pointed out just how radical in its contempt of the sacred Charlie Hebdo was – what it threw at Islam was mild in comparison with its blasphemies of Christianity – while those who died at the Bataclan theatre did so when a song welcoming the devil started up. We have to consider with the prophets it really is possible to lose divine protection. France is also an offender in its perennial dismissiveness ands coldness of its social attitudes which by making its immigrants feeling unwanted builds up resentments which foster extremist views. France is simply a thoroughly unchristian country in more ways than one; even the era of its religion held much that was objectionable. 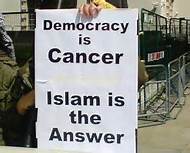 If Europe does not care to accept the Christian God, then they and their children in the schools (where as in Britain it has just been ruled early Islamic history will be taught before even 1066 and the British history that becomes optional), it will find itself ever more subject to the Muslim God and laws of Sharia. (Migrant population alone in the face of relative European infertility will make for rapid change while democracy, if not defended and respected, will just cave into an insistence upon Sharia inroads)). It will be a case of “Ah Assyria, the rod of my anger” ( Is. 10.5) . And despite some wishful interfaith thinking, Allah cannot be readily and automatically identified George Bush style with the Judaeo-Christian deity; there is too much contradiction between statements and claims of the different scriptures for that. If the Pope thinks otherwise and kisses the Koran (has he read it?) that is part of the confusion of the times and could even belong with long standing prophecy which would make the current Pope the last of the Christian era. I commend the courage to speak truth like a genuine prophet. Your voice is needed in the midst of the runaway madness of pc and the tyranny of selective free speech.